Interest rates are slowly waking up from their multi-year slumber, so I’m paying closer attention to the various changes each month. 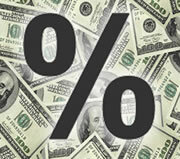 Don’t let a megabank pay you 0.01% APY or less for your idle cash. Here is my monthly roundup of the best safe rates available, roughly sorted from shortest to longest maturities. Rates checked as of 9/4/17. While the huge brick-and-mortar banks rarely offer good yields, there are many online savings accounts offering competitive rates clustered around 1.0%-1.2% APY. Remember that with savings accounts, the interest rates can change at any time. The Mega Money Market accounts of both Redneck Bank and All America Bank (they are affiliated) are paying 1.50% APY on balances up to $35,000. Note that amounts over $35,000 earn only 0.50% APY. Other sample top rates without a balance cap: DollarSavingsDirect at 1.40% APY, Synchrony Bank and Goldman Sachs Bank are at 1.20% APY. Notice that BankDirect was 1.35% APY last month, but today is now only 0.15% APY! Boo. As I’ve been “bait-and-switched” a few times myself, I’m still sticking with my Ally Bank Savings + Checking combo due to their history of competitive rates (including CDs), 1-day interbank transfers, and a overall user experience. I also like the free overdraft transfers from savings that let’s me keep my checking balance at a minimum. Ally Savings is at 1.20% APY. If you like to keep cash in a brokerage account, you should know that money market and short-term Treasury rates have inched upwards. It may be worth the effort to move your money into a higher-yielding money market fund or ultrashort-term bond ETF. The Vanguard Prime Money Market Fund has increased their SEC yield now to 1.10%. The default sweep option is the Vanguard Federal Money Market Fund, which only has an SEC yield of 0.97%. You can manually move the money over to Prime if you meet the $3,000 minimum investment. The following bond ETFs are not FDIC-insured, but if you want to keep “standby money” in your brokerage account and have cheap/free trades, it may be worth a look. The PIMCO Enhanced Short Maturity Active Bond ETF (MINT) has a 1.55% SEC yield and the iShares Short Maturity Bond ETF (NEAR) has a 1.57% SEC yield while holding a portfolio of investment-grade bonds with an average duration of ~6 months. More info here. Ally Bank No-Penalty 11-Month CD is paying 1.50% APY for $25,000+ balances and 1.25% APY for $5,000+ balances. The lack of early withdrawal penalty means that your interest rate can never go down for 11 months, but you can always jump ship if rates rise. Advancial Federal Credit Union has a 6-month CD at 1.63% APY ($50k min) and a 12-month CD at 1.78% APY ($50k min). If you don’t otherwise qualify, you can join this credit union with a $5 fee to Connex Professional Network and maintaining $5 in a Share savings account. Via DepositAccounts. “I Bonds” bought between May and October 2017 will earn a 1.96% rate for the first six months, and then a variable rate based on ongoing inflation after that. While that next 6-month rate is currently unknown, at the very minimum the total yield after 12 months will around 1% with additional upside potential. More info here. In mid-October, the CPI will be announced and you will have a short period where you will have a very close estimate of the rate for the next 12 months. I will have another post up at that time. Advancial Federal Credit Union (see above) has an 18-month CD at 1.89% APY ($50k min) and a 24-month CD at 2.00% APY ($50k min). The early withdrawal penalty is 180 days of interest. Mountain America Credit Union is offering a 5-year Share Certificate at 2.60% APY ($5 minimum) with a 365-day early withdrawal penalty. Anyone can join this credit union via partner organization American Consumer Council for a one-time $5 fee. Willing to lock up your money for 10+ years? You can buy certificates of deposit via the bond desks of Vanguard and Fidelity. These “brokered CDs” offer the same FDIC-insurance. As of this writing, Vanguard is showing a 10-year non-callable CD at 2.65% APY (Watch out for higher rates from callable CDs.) Unfortunately, current long-term CD rates do not rise much higher even as you extend beyond a 5-year maturity. All rates were checked as of 9/4/17. Poorly researched. I am getting 3% right now on a 5 month CD at Navy Federal and 2% on savings at Leader Bank. Signing up for these accounts was not more complicated than any of the other accounts mentioned. NavyFed membership is limited only to people with military affiliation. I only include nationally and publicly-available rates. Leader Bank 2% APY is essentially a Rewards Checking account with direct deposit and debit card requirements (10 per month). If you are willing to go through such hoops, you can get more than 2% APY. You could put $10k in a Northpointe 5% APY rewards checking account and then the rest in Redneck bank at 1.50% and come out with a higher blended APY. Very comprehensive. I have accounts at Ally and other banks, and really like Ally. Their web interface and mobile app are probably the best I’ve seen so far; very easy to use. I still have trouble convincing friends and family to use an online bank, though. Many still can’t bring themselves to put money in a bank with no branches. The flaming red hoops you have to jump through on rewards checking accounts are worth it in my opinion. I am easily making $75-$80 a month on 3% + interest every month on approximately $25k with minimal work & a few direct deposits going here & there. On $100k, across four rewards checking accounts, that comes out to roughly $300 a month in interest (or $3600 a year). With a bunch of small transaction payments online to the cable or cell phone companies, and multiple $3 swipes at the gas station when filling up, the monthly minimum swipes can be made. As for direct deposits, I have split allotments from my paycheck going into each account…and back it up with automatic mid-month transfers between rewards checking accounts just in case a beginning of the month allotment comes in a day or two early. What is your current mix of 4 rewards checking accounts? Do you do multiple at one bank or different banks? I use two Texas CU’s that are paying 3+ % in interest…and spread it out w/two accounts each, for my wife and I.
Merrill Edge does not have money market funds that pay comparable rates to the Vanguard Prime Money Market Fund, so I decided to try MINT for investing some cash in my retirement brokerage account. This looked to me to be a reasonable alternative because I can make etf transactions commission free at Merrill. I recognize that there is a higher risk for price fluctuations with an MINT than a money market fund, but over the recent history the etf price has increased resulting in a total return of about 2%. In my Merrill taxable account I just move the cash to a money market account at a bank, but cannot do this for retirement account. Again poorly researched. Leader bank requires 10 debits, not debit card transactions. There is quite a difference. And the limit is $50000 which is far superior to Northpointe, and also to the All America Bank mentioned in the post. Ah, thanks for pointing out the 10 debits vs. debit card transactions, I missed that. Interesting. DL, I do not agree with your “poorly researched” comments. Your first comment is relative to the initial article, where the author does a great job of sharing a variety of accounts that one can consider. These are all good ideas for the reader to further research and see if any of the accounts meet their requirements. There is no way one article can specify all the best accounts available for each individual for the number of different saving alternatives discussed. In your first comment, you imply that accounts at Navy Federal and Leader Bank are superior to what is discussed in the article. That may be the case for you, but not everyone. Relative to your second comment, it appears that you have not at all understood the author’s reply. He is telling you how he goes about making decisions as to what might be included in the article. I do not believe the author intended or implied he was giving a completely researched opinion on what appears to be a couple of your current favorite savings choices. I read this article and the comments for savings ideas. I take responsibility for finding the ones that best meet my requirements. I appreciate it when someone commenting gives details about the product that will help me decide if I wish to research further. Mr. Ping always meets my expectation in this regard. DL, you have failed in your comments. You don’t even specify the specific account at Leader Bank. I assume that you are referring to the Zeugma accounts. You fail to point out that it is a rewards account that requires you open both a savings and a checking account. You make no mention of the rewards requirements or the account limit or the fact that the checking account does not pay interest. Mr. Ping gives us the chance to share our own ideas about any article. I appreciate this and have gotten good ideas from the articles and comments. Leader Bank seemed interesting but their rep stated that they only accept applicants who are residents of Massachusetts. They stated that they might make some exceptions in special cases, if you live there part-year or something like that. So for most folks this would be a local deal. That would have been useful information for DL to provide. Most of us don’t live in Massachusetts. Capital One’s 360 Money Market Account has 1.20% APY for balances of $10,000 or more. In contrast their 360 savings account has a 0.75% APY. A great one for both high yield savings and short term guaranteed rates is CIT Bank. Currently their savings account is 1.35% and no penalty CD is at 1.45%. Both of these rates went up just recently. Anyone with insight on Nationwide Bank recent increases in interest rates for checking and saving accounts? Paying 1.15% for checking and 1.3% for savings. Does anyone have any information about the start up Beam (https://meetbeam.com) ? They promise up to up to a 4% interest rate savings, and they say it will be FDIC insured. Anyone has more information? Next: Absolute vs. Relative Standard of Living: What is Enough?